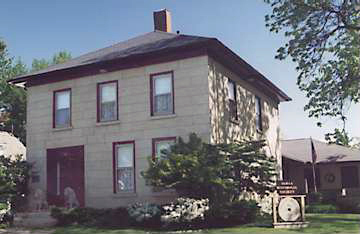 Mahler Museum is a Berea sandstone dwelling built in 1854 and is listed on the National Register of Historic Places. Named in honor of local businessman and benefactor, Otto Mahler, and his wife, Mabel, Mahler Museum opened to the public on July 4, 1979, thanks to the efforts of countless volunteers. The History Center was added in 1991 and provides much-needed work space, office and storage space, and handicapped access. In addition, a large meeting room is available for special exhibits, luncheons, meetings, special events and group activities. Mahler Museum & History Center is open for tours Sundays and Tuesdays from 2 p.m. to 4 p.m., April through December, or by appointment. To arrange a tour or reserve our meeting room for a special event, please call our office at (440) 243-2541. Office hours are 11 a.m. to 4 p.m. Tuesday through Friday.